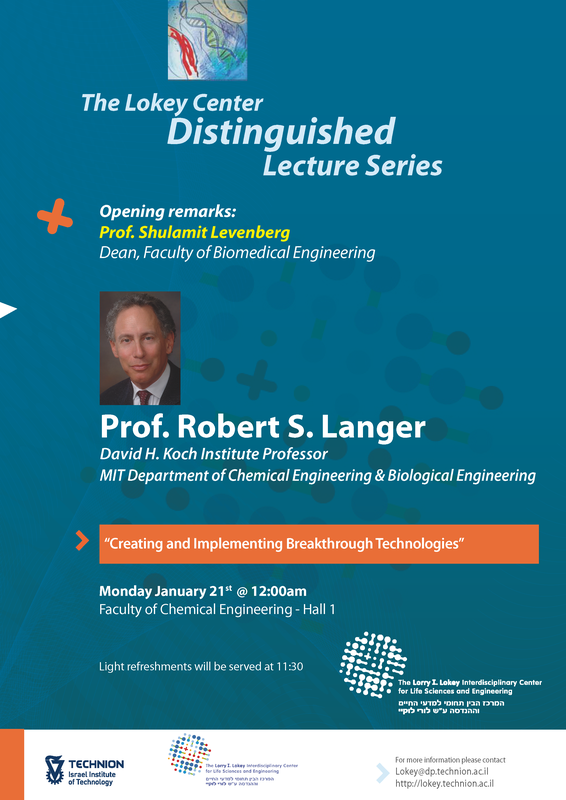 Robert Langer is an institute professor at MIT, at the Department of Chemical Engineering and the Department of Biological Engineering. He is also a faculty member of the Harvard-MIT division of health science and Technology and the David Koch institute for integrative cancer research. Prof Langer is a widely recognized and cited researcher especially in the fields of drug delivery systems and tissue engineering. He is the most cited engineer in history. Langer’s research laboratory at MIT is the largest Biomedical engineering lab in the world; maintaining over $10 million in annual grants and over 100 researchers. He is an extremely creative innovator and has been involved in the founding of many companies. Prof Langer received both the U.S. National Medal of Science and the National Medal of Technology and Innovation. He also received the Queen Elizabeth prize for Engineering, the most influential prize in the world for engineering. He has received numerous other awards including (In Israel): the Harvey Prize in Science & Technology and Human Health, the Dan David prize and the Wolf Prize. Prof Langer is an exciting speaker and his talk is highly recommended.